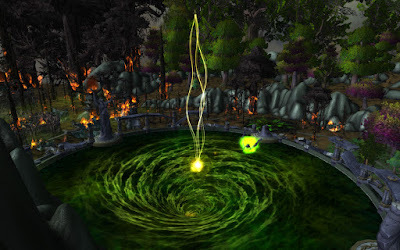 As the title suggests you can go into Well of Eternity, the cata 5 man in caverns of time, and kill the legion demons who endlessly spawn. The trick here is to out-range the huge demons that "insta" kill you, yes even at 110. If you use a ranged class you can kill them. After killing them you can use a Enhancement shaman in ghost wolf form using fury of air to kill the mobs while afking. Took about an hour to boost a 85 to 90 just sitting there doing nothing, used a 110 shaman to boost a 85 hunter in full looms to 90.